Our joint research – “Linkage Between Corporate Governance and Value Creation” – between BDTI and METRICAL has been updated as of January 31. The most important inferences are summarized below. Significant correlation between board practices and performance continues. (a) ROE: Nominations Committee existence, the number of female directors and percentage of INEDs show a significant positive correlation. (b) Tobins Q: Nominations Committee, retired top management “advisors” (ex-CEO “advisors”), and percentage of INEDs show significant positive correlation. (c) ROA (actual): Compensation Committee existence (negative correlation), Incentive Compensation Plan disclosure, and retired top management (ex-CEO) serving as advisors show significant correlation. 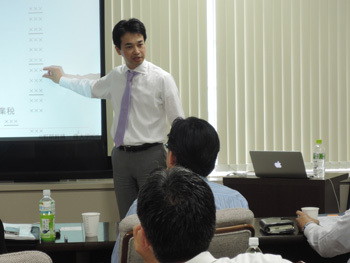 Engagement in Japan: How to Discuss Director and Executive Education – the Most Necessary Thing! When I proposed to the LDP and the government in 2013 that Japan promulgate a corporate governance code, one of the most important principles that I advised should be included in it was a requirement for director and pre-director training. To anyone who has ever sat on an average Japanese board, the need for this is obvious. Without more training of both executives and external directors in Japan, it will continue to be very difficult for independent directors to perform the roles that are now expected of them. From personal experience, I know that it is simply not possible to convince engineers who do not understand finance that their company could very easily go bankrupt in two years. I was very pleased to see in the FSA’s updated list of signatories to the Stewardship Code, that Mitsubishi Corporation’s pension fund recently signed on. This makes five major non-financial corporate pension funds that have signed the S.C.: Secom, Panasonic, NTT, Eisai, and now Mitsubishi Corporation. Secom had signed from the start, but the others came after I urged the Prime Minister on this topic, and then the Minister of Health, Labour and Welfare (MHLW, in charge of corporate pensions), then wrote a proposal for a change of the regulations by MHLW…. which resulted in a joint study group between MHLW, the Pension Fund Association, pension experts, and the FSA (as observer) for the express purpose of encouraging pension funds to sign the S.C. This major progress for Japan, and these companies should be commended. There is an extreme disconnect between the way in which Japanese companies claim to care about their employees (and often do! ) but so far, have not seemed to care about the assets (retirement funds) of those same employees. This is especially so when one considers that corporate pensions in Japan have no government guarantee, so as the company veers towards bankruptcy it first forces employees to agree to a big cut in benefits (a la JAL), and if it goes bankrupt and the pension is underfunded….well, “it is what it is”. If anyone is interested, here is the “comply and explain” proposal that I submitted to the MHLW. Recently, many major Japanese companies have been bringing non-Japanese executives to Japan to fill key roles in their global operations. Diversifying the ranks of senior executives is an important step forward for Japanese firms. But it also represents a significant change in terms of how communication and decision-making works at the highest levels of the organization. Non-Japanese executives working in Japan have few chances to meet their peers at other Japanese firms. There are also few chances to have in-depth and meaningful conversations about the unique issues faced by Japanese companies in the process of becoming truly global entities. Based on its long experience organizing forums for Japanese executives, the well-regarded Business Research Institute is establishing a new forum designed for non-Japanese executives in Japan and their Japanese counterparts to participate in together. This new forum will provide an important opportunity for networking and discussion. It will be held entirely in English, and will provide the opportunity for frank and in-depth exchange of opinions in a confidential setting. The recent stream of “falsification” scandals in Japan – deja vu?